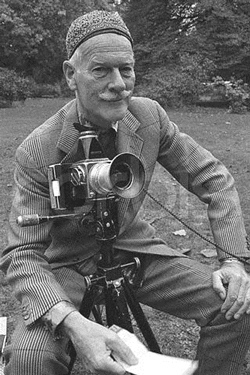 Norman Parkinson has been dead for many years, but the photographic world is that much poorer without him. He was a photographer who could lend his hand to photograph any subject, be that fashion, portraiture, reportage or travel. His version of the Pirelli calendar remains one of the best, with subtle reference to the tyre manufacturer through the use of the tread pattern in each of the 12 nudes. He was a man who gave great thought to how he would take any shot – not just working out the exposure details.